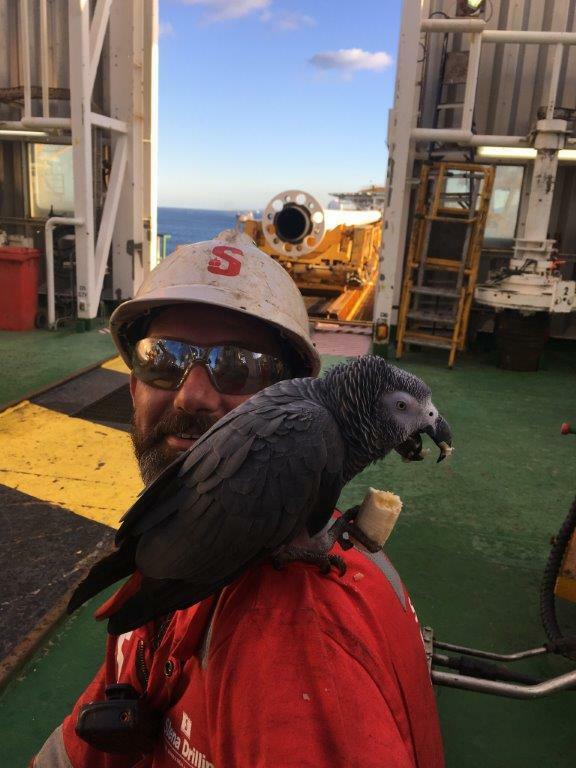 The bird, which looks to be an African Grey Parrot, wasn’t afraid to get on the shoulder of one worker who fed it a banana. 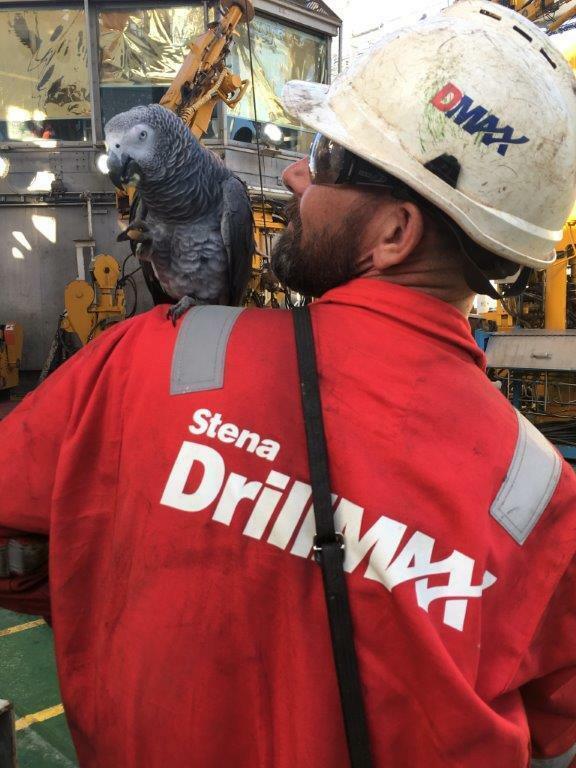 The Stena DrillMAX is a harsh environment rig dynamically positioned DP Class 3 drillship capable of drilling in water depths up to 10,000ft. 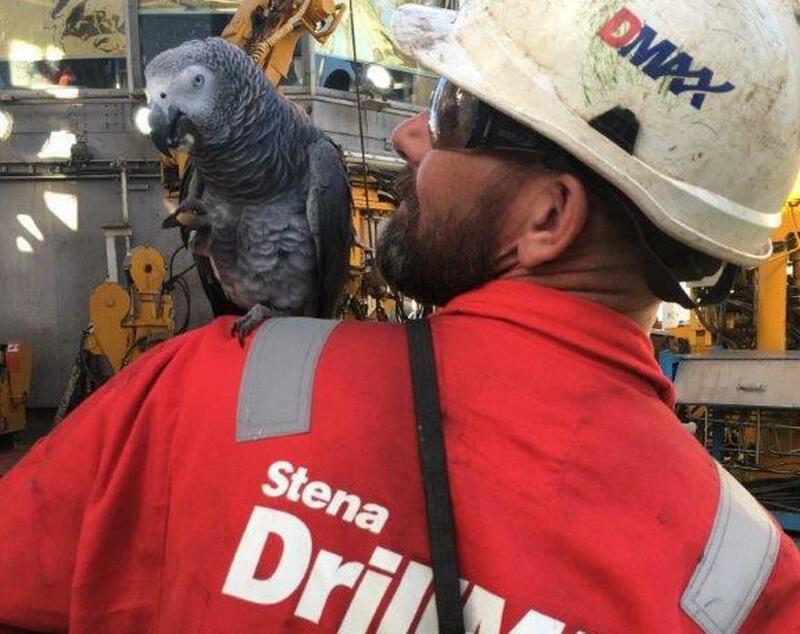 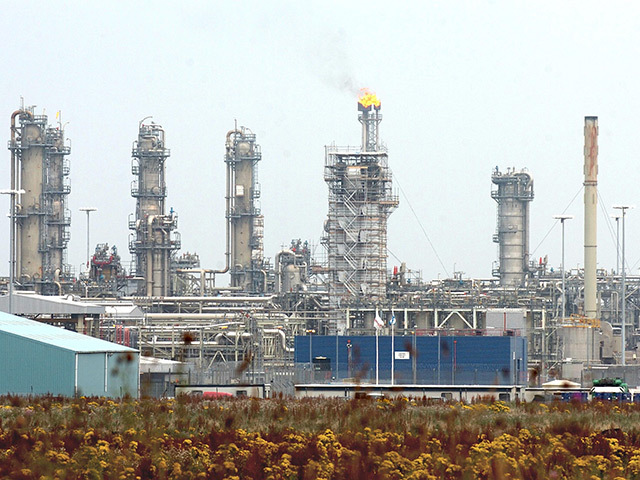 Picture courtesy of Stena Drilling.